Cookies help me think. 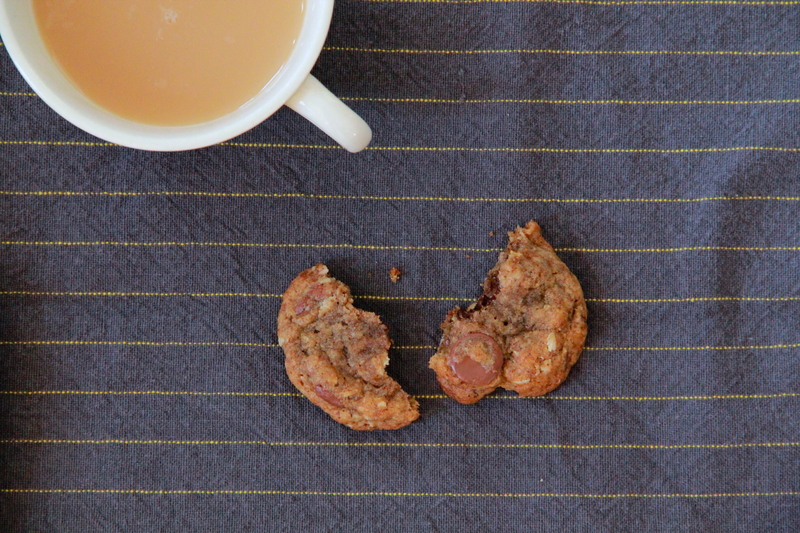 And cookies with milk chocolate chips and espresso in them? Hours of thinking in my future. Look out, people. You know what I mean, though? Mixing and measuring. Scooping and baking and cooling. Inhaling all of the warm, cookie smells. I feel less tense just thinking about the process. Baking is a relaxing ritual for me, one that lets me either bliss out and think of absolutely nothing when I’ve got too much on my mind, or helps me sharpen up my brain clatter and focus on what’s important. Today I’m calling upon the focus. The writing-a-speech-for-your-sister’s-wedding-day kind of focus. I’ve got 30 days until game time, but so far no speech. (Help!) Granted, I haven’t actually tried to get anything down on paper yet (don’t tell Emily), but the pressure is on. (Help!) I mean, I’m a writer! This better be good. (Help!!) Maybe you can help? In exchange for cookies? 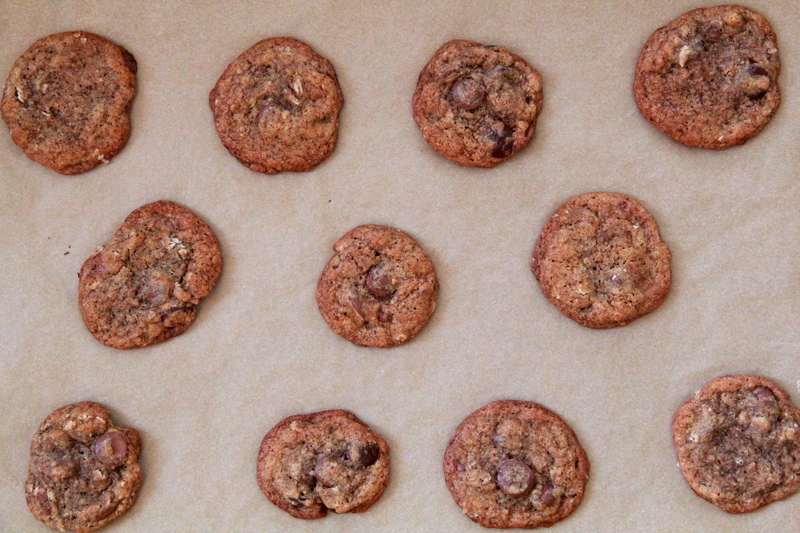 Go ahead — have a cookie. Then tell me — what should I do? Should I be teary and sincere? Or should I take the funny route? I know it’s a highly personal project, but I need to know — what are your best speech-writing tips? I (and my sister, probably) thank you in advance. But we probably shouldn’t tell her about this. Okay? Cool. Another cookie for you. I love these cookies. They’ve got oats but aren’t too oaty, they’ve got depth from a pinch of cinnamon and lots of espresso powder, and they’ve got plenty of good chocolate. They’re chocolate chip cookies wearing red suede pumps. Good looks, hint of intrigue. Grown up. Get after it. Heat oven to 375 degrees F and line a baking sheet with parchment paper. 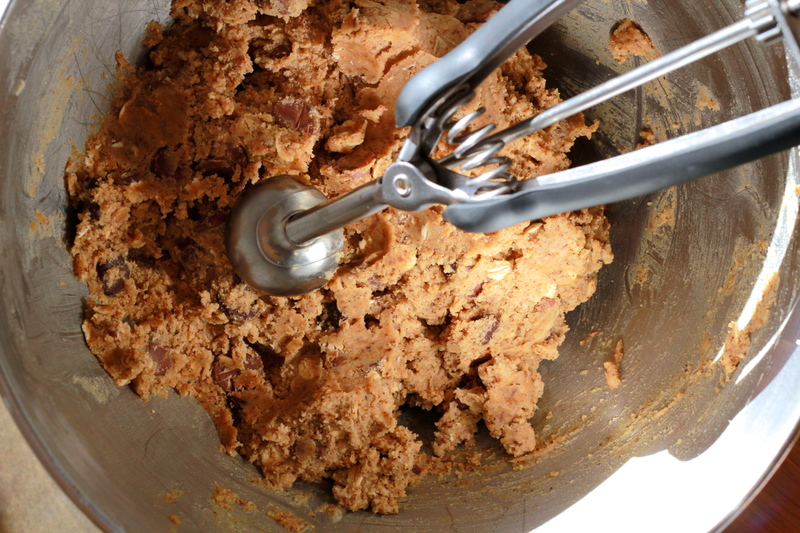 In a medium bowl, whisk together flours, oats, espresso powder, baking soda, salt and cinnamon. Set aside. In another bowl, cream together the butter and sugars until fluffy. Add the egg and vanilla extract and beat to combine. Add the dry ingredients and mix gently to combine. Fold in the chocolate chips. Scoop dough by the heaping teaspoonful onto cookie sheet, and bake 6-8 minutes, until lightly browned at the edges. Allow cookies to cool slightly before transferring them to a wire rack to cool completely/be snatched up while still warm. Makes about 30-35 (2-inch round) cookies. heaven!!!!! these look incredible, chef molly! 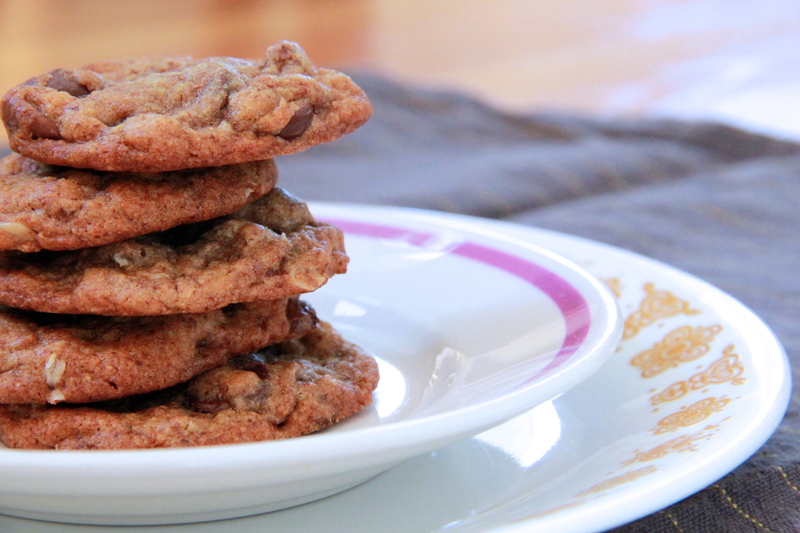 1) These cookies look AMAZING! 2) I’m sure your speech will be awesome! I can’t believe the wedding is so soon! !